West Georgia Mortuary began construction on a new facility on October 1, 1984. Our current location is 1408 Hamilton Road, LaGrange, Georgia. The building is of Colonial design and decor with parlors of varied size, a waiting-reception area where privacy is desired, offices, funeral merchandise display, adjoining family rooms are available, preparation and dressing rooms, handicapped ramps and other facilities. Juanita Harrell has been in the funeral industry here in LaGrange, Troup County, Georgia since 1984, and has always stood on the principles of honesty and serving people with excellence, while other funeral homes that are owned by big corporate conglomerates treat people like a number, and refuse to spend time to walk them through the process of planning a funeral or cremation. West Georgia Mortuary is home-owned and operated, and able to work with families on their terms, and not the terms of a corporate office. With a vision to make things easier for families, we are launching our first website. With the launch of our Website, you can now familiarize yourself with our funeral and cremation services before talking to us or walking into a funeral home. 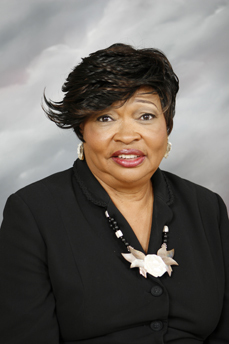 Ms. Harrell's goal is to provide the best funeral and cremation services at the lowest prices. If you have any questions call 1-706-884-1092 and talk to Juanita Harrell 24/7. She is here to help answer any questions you might have.